Proudly announce we earned " Baanchang Elephant Park | Elephant Sanctuary Park in Chiang Mai (Thailand). 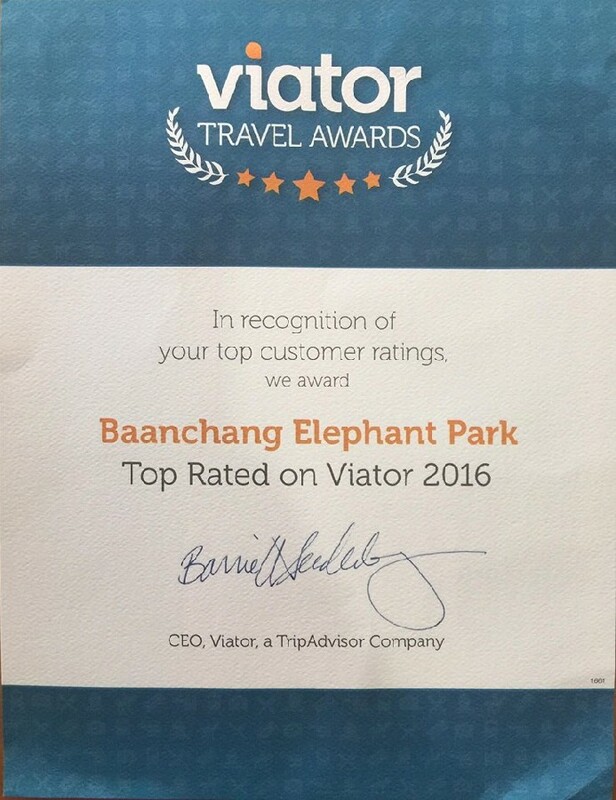 Proudly announce we earned " Baanchang Elephant Park - Top Rated on Viator 2016 " by CEO Viator, a TripAdvisor Company.. Many thanks to everyone who visited us, took time to write a review, and help us to promote our Elephant Park.